Strange, you might think, as that is the last thing you’d ever find in India! 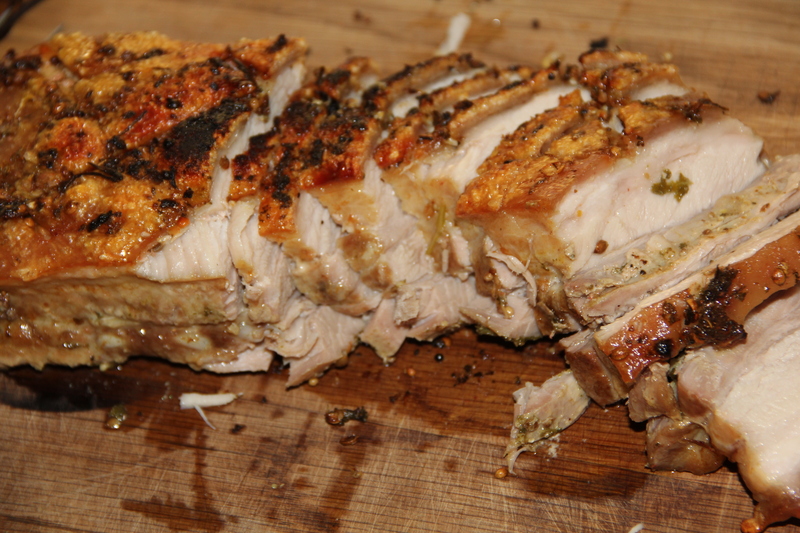 Ok, anyways – fact is – you would NOT find a pork roast anywhere and if you did, it would not be what you were craving. 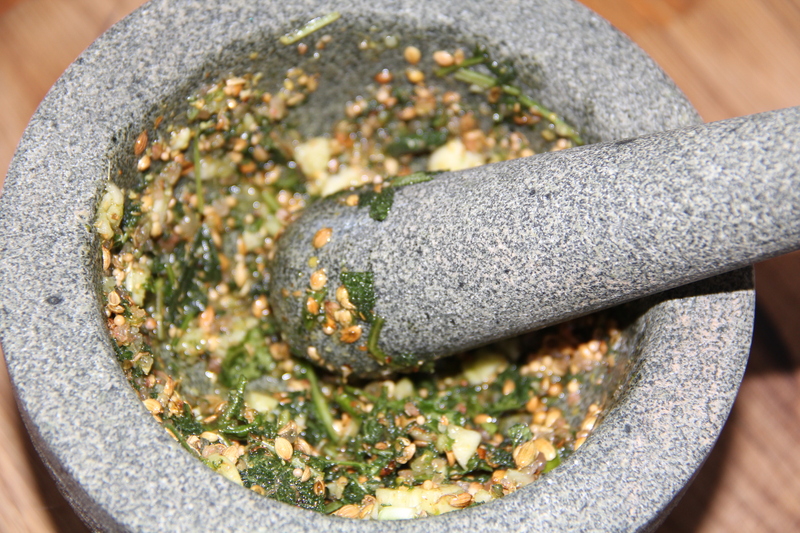 Using a pestle & mortar, grind it all together to form a rough paste. 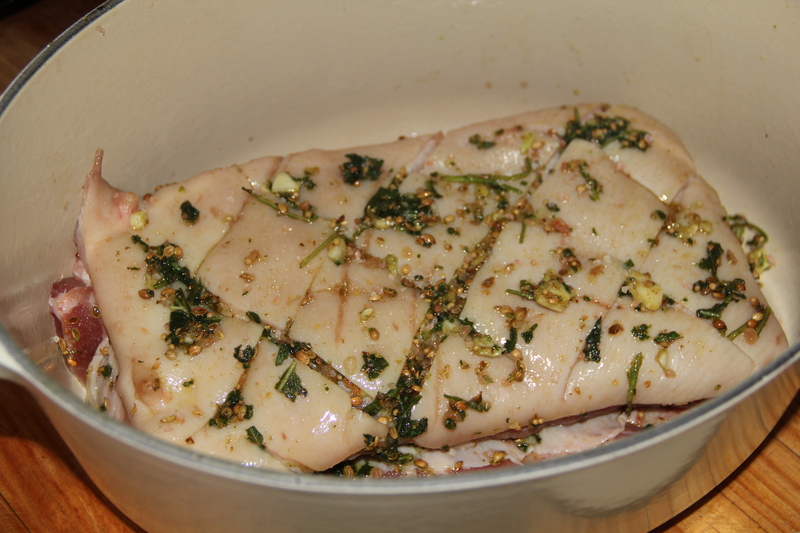 Rub it all over the pork belly, after scouring the skin, making sure it’s properly covered with the rub. Let it marinade for an hour so before cooking. 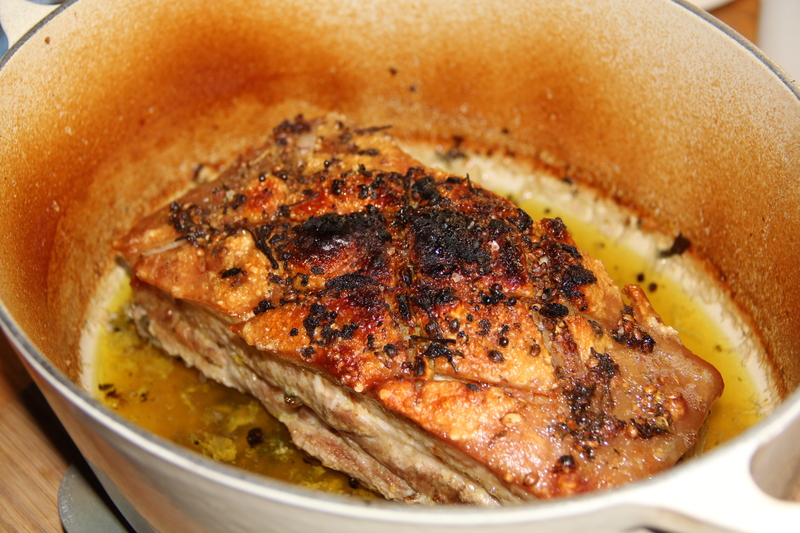 When you’re ready to cook, add 1 cup of chicken stock to the casserole / roasting dish and a splash of dry white wine. Cook at 160C, covered, for an hour and a half. After an hour and a half, set the oven to grill, sprinkle with some more salt and grill for about half an hour until the skin is golden and ‘crackling’. Serve it with creamy brocco-mash or a lovely green salad.